Two years on from originally posting this, in the wake of the suicide of another brilliant, funny man, Robin Williams, it seemed relevant to point people at it again. We must end the stigma of depression. Ten years ago today my best friend took his own life. He’d been missing for a few days, but none of us were unduly worried as he had form in this area, having once been discovered hanging out with the monks on Caldey Island while all of us panicked about his whereabouts. That was Chris. Monumentally intelligent, one of life’s great thinkers. But he could also get lost in his own bedroom, and then wonder what everyone was so concerned about when he turned up several days later. But as I stood outside my office on the balcony of Castle Arcade in August 2002, the phone call from Andrea delivered the devastating news. I’ll never forget that call. I’ll never forget the last time I saw him on a street corner in Cardiff, a few hours before he killed himself. I’ll never forget the never-ending drive up to mid-Wales to meet his brother and identify the body. I’ll never forget the surprising weight of the coffin as we carried him into the church, and the morbid jokes we all made about him having put on a few pounds recently. I’ll never forget the inconsolable grief that crashed over me like a leaden wave as the curtains closed on his coffin at the crematorium, and I felt like I was being pumelled from all sides as all the tears I’d been holding in for weeks finally came out as I wept and wept and wept. I hope these are memories that will fade with time, although even now a decade later they still feel real. But there are so, so many more memories that I want to hold on to, that I will fight to hold on to as I slip into old age and dementia. I’ll remember the first time we met, at age 11. I’ll remember his laugh as we would listen and re-listen to old Goon Shows in his bedroom (I still credit him introducing me to Spike Milligan as the formative moment of my sense of humour). I’ll remember giggling at his awful hangover as he struggled to survive a visit to a stinky salt mine on a week-long exchange trip to Munich. I’ll remember our terrible band, Juniper Suction. I’ll remember his terrible Geoffrey Boycott impression. 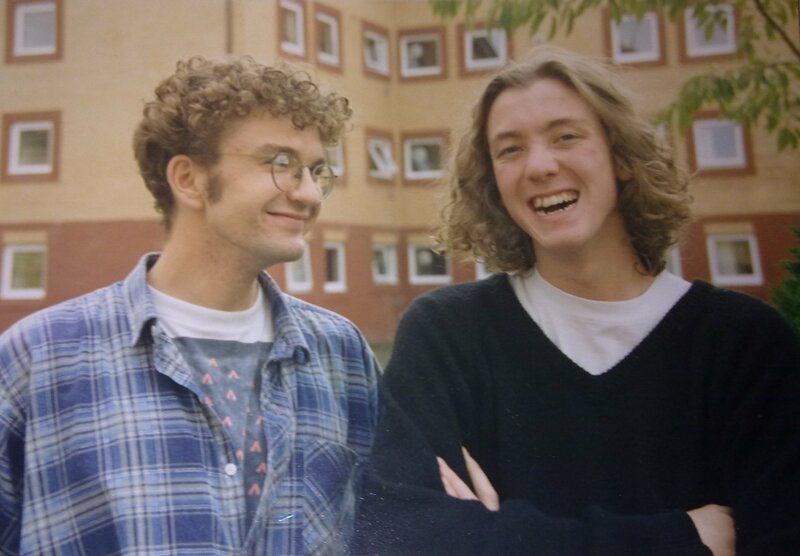 I’ll remember being overjoyed that we’d both been accepted by the same University. I’ll remember him dumping a girl after their first date after weeks of pursuing her (“Neil”, he said to me “she’s got no soul“). I’ll remember countless drunken stumbles back across the common to his parent’s house after a night in an old man’s pub in rural Gloucestershire. I’ll remember one of the greatest days of my life, splashing in the river of the foothills of the mountains of Spain, before returning to our tents to stare at the night sky, drink beer and laugh until we couldn’t breath. I’ll remember his smile and his laugh. Beautiful, mischievous and joyous all at once. I don’t want to lose those memories. Dearest Chris, you were the smartest, funniest man I ever met. I’ll miss you for the next ten years like I’ve missed you for the last ten years. And if I’m ever lucky enough to get old, and fat and grey, I’ll briefly be angry at you that you’re not there to be old and fat and grey with me. But it won’t last. I’ll soon return to those good memories, stick on an old Goon Show tape, and laugh. Every year too many people take their own lives. Please donate to Mind to help fight the war against depression. I’ll never forget his eyebrows or his thoughtfulness or his naivity! And while I wish he was here to share all the new aspects of my journey with there s a part of me that is glad to remember him while he was young and tragic. the magic age of 27 (well – 2 weeks off!) I wish he was here so I could talk to him about my impending teenage son who I believe gave Chris his last hug when he was 2 (a few hours before he drowned himself) and I wish he had been at my wedding (my other wedding!) Life has changed so much in the past 10 years but its true that as time goes on, while the feelings of grief get a little easier the pain of loss never goes away. I salute you Christopher William Frank Arthur!….and I love you Neil for putting up this post! yes lets see if we can do coffee tonight – I’ll rearrange things! I was with Chris on his last day, there were a few of us together and I think we were in a pub in Cardiff because there was a football match on (Charity Shield I think). Chris to me was a friend of a friend who was slowly becoming my own friend. He was just a really really nice person that I always enjoyed being with. Chris, your warmth still burns strongly in the friendships that you left behind. Previous Why you should start seeking investment for your startup NOW!